It was Diwali’s eve, and my day started with a dismaying piece of news talking about a proposal issued by the Maharashtra state government which goes a step further to coerce MBBS doctors into rural service. I’ve written extensively on the pros and cons of compulsory rural service for fresh doctors. However, this write-up is to target a much more disconcerting aspect: that of putting the entire onus of the sad state of our rural healthcare system on doctors who are reluctant to join rural service. This also seems to be the sinister undertone of the government’s campaign to solve the rural health crisis and is catching on with the commonality of this nation rapidly. To understand the prime factors responsible for the shambles our rural healthcare is currently in, we need to examine the long-standing proclivities of our governing class. It’s hard to argue that our policies related to healthcare have ever truly been ‘pro-poor’ and directed to address the perennial rural-urban dichotomy. The main focus, however, has arguably been the flashy, advanced tertiary care model taking care of the affluent urban class and sidelining the needs of the rural folk like nutrition, sanitation, and primary care, which also happen to be our major public health challenges. The saddest part is that the layman has been deceived into believing that advancement is all about sophisticated, high-end interventions, state of the art facilities and that nutrition and sanitation are secondary, while the reverse is true. India’s measly investment into social security is also a testament to this general tendency. The undue pro-capitalist skew in our policies favouring the rich, culminating in the rise of neoliberalism in the 1990s has proved to be a significant damaging factor for our public health system. Not only has unregulated commercialisation and privatisation made quality healthcare a prerogative of the rich, it has also severely curtailed the inflow of resources (including doctors) into the public sector. A predilection for for-profit, market forces in healthcare coupled with a perennially low health spending never allowed a meaningful national health service to take off, which is meant to absorb all doctors and provide healthcare ‘irrespective of one’s ability to pay’. The public health system of India in its present form is not even an apology of what it was envisaged to be several decades ago. It lacks not only human resources but also essential infrastructure, a credible referral system, and an effective healthcare manpower policy. It’s hard to justify calling into question the moral integrity of doctors reluctant for rural service, while the real reason for the sad state of rural healthcare lies entrenched in our policies and the inclinations of our governments. Having recently worked in a rural area myself, I can attest to how abject the state of affairs could be for such doctors, who often have to settle for everything from a pest-infested accommodation, lack of basic amenities like electricity and potable water, to an overt insecurity about their own lives, apart from their patient’s. Despite this, our authorities remain steady in propagandising that the doctor is the diabolical figure responsible for the rural health crisis. It’s high time the truth be propagated that increasing the number of public sector doctors would be in vain, unless backed by a renovation of the public health infrastructure and a reorientation of policies. 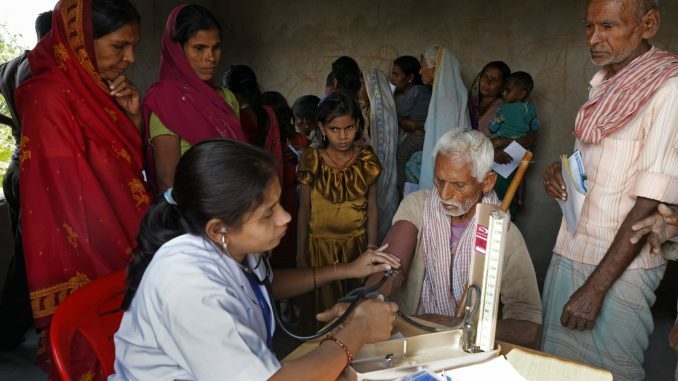 The national health system of India is not in a position sound enough to effectively utilise the expertise of the country’s doctors, even if it somehow they can accommodate the majority of them. It is absurd to think that a doctor working in a PHC could deliver a satisfactory service in the absence of basic, life saving infrastructure, essential medicines, and ambulatory services. It would be hypocritical to expect a doctor to stay satisfied on moral grounds after distancing himself from his family, and putting up with the worst conditions, while many of his peers continue to be lured into the affluent private sector so favoured by the powers that be.